1. Program a button on your POS for every single item you serve. Example: instead of a button for mixed drink, program a button for every single brand name of alcohol you have. 2. Require servers to input correct table numbers on their checks. Have a manager or supervisor occasionally pick up signed checks as soon as a guest leaves and verify the table number. If the table number on the check does not match, the server may be re-using checks. 3. Make sure all of your POS terminals are in a very visible location. The terminal should be in a place where it is seen by supervisors, other employees, and guests. 4. Subscribe to a Mystery Shopping Service. Have undercover shoppers come in on a regular basis to measure internal controls. It may cost a few dollars up front, however, most restaurants lose about 5 percent of their revenues do to poor internal controls so it will quickly pay for itself. Remember, you only spend a few minutes looking over your employees for theft potential. They have 8 hours a day to figure out how to steal. 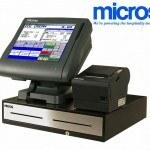 This entry was posted in Food Controls and tagged alcoholic drinks, bartenders, breakfast buffets, employee theft, Internal Controls for Food, Internal Theft, mystery shoppers, mystery shopping, point of sale, point of sale systems, popular items, shopping service, table numbers by TrueGuest. Bookmark the permalink. Pingback: Five Diamond Hospitality, LLC » Blog Archive » Ask Five Diamond: How Does Using Table Numbers Improve Internal Controls and How Do I Assign Table Numbers? Fire and prosecute theft instead of breading us vs them attitudes. Everyone should be working towards and receiving appropriate compensation for a successful business.